The remarkable achievement of modern archaeology has been to show us a more distinct picture of how our ancestors lived during pre-history, that is before documents provided us with some evidence of life in earlier centuries. This is particularly true of the Milton Keynes area, where the planned development of a new city led to the creation of an Archaeology unit which would salvage what knowledge it could before the bulldozers destroyed the evidence forever. So until quite recently all we could do is conjecture that people may have lived in the area in the very distant past and that the only insights into how they lived could be drawn from parallels with excavations in other parts of Britain. The Milton Keynes Archaeology Unit changed that and has left a useful legacy of information. The one I want to focus on today is evidence of Bronze Age settlement (3000 years ago) in the area now known as Wolverton Mill. 50 years ago these were still green fields. 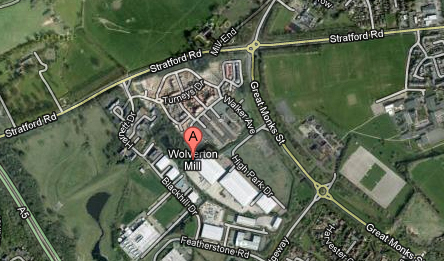 The only buildings were at Warren Farm and Wolverton Park by the Old Wolverton turn. The first buildings on these fields for the Radcliffe School and the Wolverton College of Further Education disturbed a lot of evidence and the subsequent levelling of the ground for playing fields probably destroyed any hope of useful excavation in this area, However in 1969 some aerial photographs identified a ring ditch and part of an enclosure at Wolverton Turn and the MKAU began an excavation on the site in 1972. 20 years later, in anticipation of the building program at Wolverton Mill, a second archaeological excavation was undertaken. 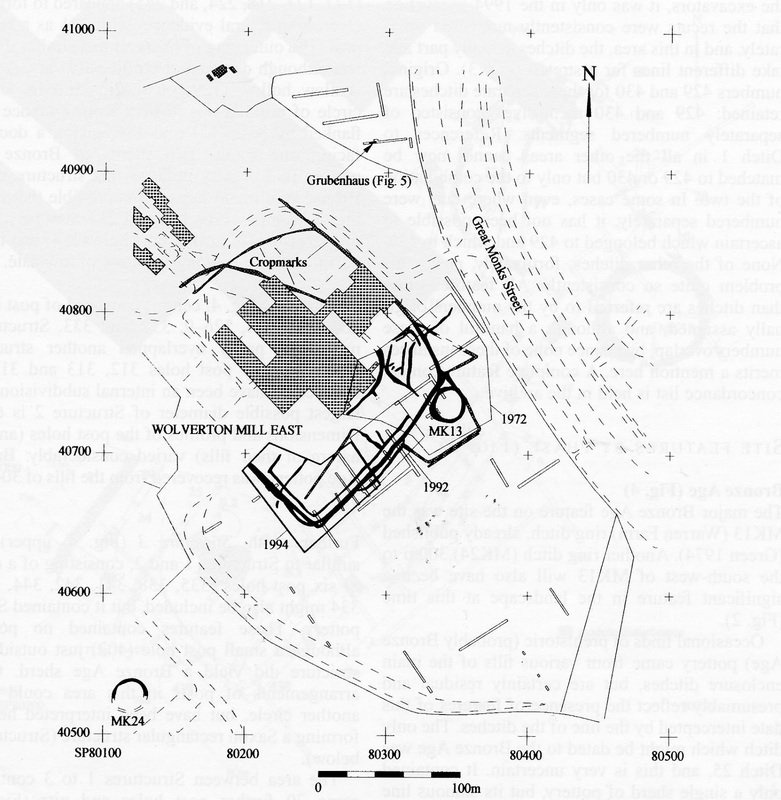 The above drawing shows the ring ditch and the lines of the trenches that were dug. All of this is now built over as shown by the satellite map at the head of this post. The archaeologists discovered some post holes which might suggest some circular structures and really there are very few conclusions one can draw other than there was once a settlement here approximately 3000 years ago.